This little novella is an excellent exemplar of bad ideological speculative fiction. Interestingly enough, it goes from really bad in the first story to slight steps of improvement, until the last two stories are actually quite good. Sadly, some of the best voice acting is wasted on the very worst of the stories. For GOOD ideological speculative fiction of this particular viewpoint check out Eric Flint, for sure, among others. But this book? Unless you voted for the right folks in the last election because you are a TRUE believer, this book will leave you feeling either flat and unimpressed, or offended, depending on where you fall on the spectrum. So, if alienating or offending slightly more than half of the readership of sci-fi/fantasy was their goal . . . then Mission Accomplished! 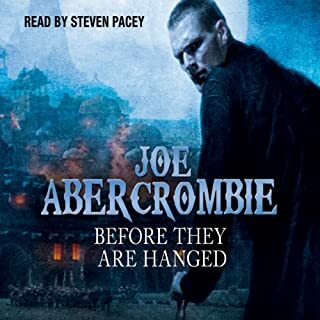 With excellent narration melded to a fantastic, unique, and multi-layered storyline, this was one of my favorite reads in a long time. Real characters that adapt and grow within the narrative, just enough technology to keep eyebrows level, and an emotional throughline that engages from the beginning and builds on the preceding book, these guys know how to tell a story, and Jefferson Mays knows how to narrate it. You will NOT be disappointed spending a credit on this excellent sci-fi experience. 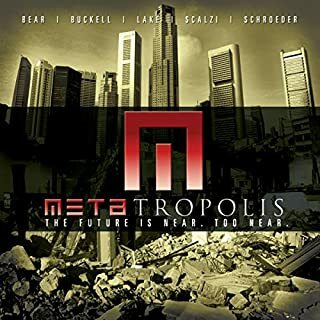 Easily one of the best sci-fi I've listened to or read all year. The last stand against the self-proclaimed God, Adam, has retreated to the anarchic planet Bakunin - a world besieged by civil war. 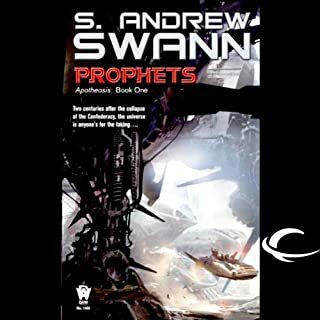 Humanity's last hope lies with Nickolai Rajasthan, a Moreau who believes that the human race that created his kind is already damned beyond redemption. This was a moderately enjoyable way to spend nearly 60 hours (counting the whole series), with a very intriguing concept, exciting plotting, and intellectual constructions that kept me engaged the entire time. However, like many intellectual works that delve deeply into philosophical and religious fare clothed in deeply symbolic myth-imagery and construction, the character depth and engagement was, I found, sadly lacking. 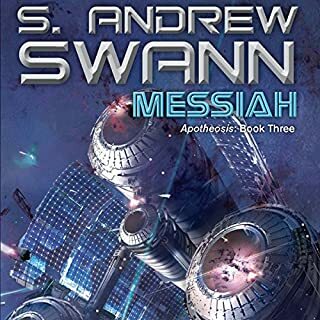 And in the denouement of the entire story, as character story lines are being cleaned up and reconciled, several moments led me to feel that Swann himself felt the same way. In the end, I felt the final story arc left me feeling unsatisfied, more like I'd just engaged in a 60 hour algebraic word problem, rather than an epic tale of good vs evil. Beware when an author actual names the last section of his book "Deus ex Machina" . . . he probably means it . . . It's been nearly 200 years since the collapse of the Confederacy, the last government to claim humanity's colonies. So when signals come in revealing lost human colonies that could shift the power balance, the race is on between the Caliphate ships and a small team of scientists and mercenaries. But what awaits them all is a threat far beyond the scope of any human government. Great story this time around, with several sub-plots that feed seamlessly into the over-all thrust of the novel. A very enjoyable listen all the way around. 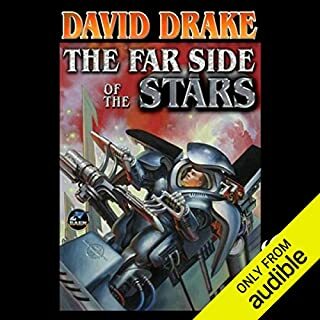 Victor Bevine's reading is still a shy lackadaisical for the cut and thrust scenes of personal and space combat, but less distracting, I think, probably because I'm getting used to it. Decent Age of Sail SciFi Retelling. Fans of the standard Age of Sail novels will quickly recognize the jargon and speech patterns in this and follow on novels. The translation is very clunky at times, appearing forced and artificial, but the characters and story usually make this a minor irritation. However, keep this in mind if expecting the naturally flowing, organic dialogue of the Hammers series, and other works of Drake. The choice of narrator, however, is problematic. Bevine has a fine speaking voice, and captures meaning and tone well. However, he has a very low energy delivery that is very much at odds with the more energetic, swashbuckling elements of the novel, of which there are many. There are times when the tension and action of a scene are completely undermined by what I would almost describe as a 'bedtime story' voice. All in all a good story, one that seems to indicate that it will get better as the series matures, and a narrator that perhaps needs to drink a little more coffee before sitting down before the mic. 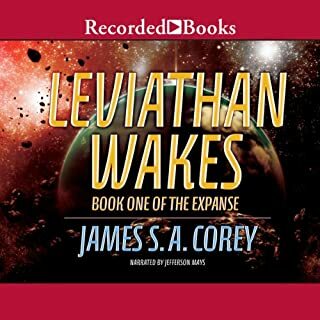 Leviathan Wakes blends the best of the space opera sub-genre with the detective stories of the early 20th century, taking the reader (or listener) or an excellent ride that starts at two wildly different point and proceeds on a crash course whose twists and turns, like the best roller coasters, can ALMOST be anticipated . . . until they hit, and then the rush of surprise and excitement is redoubled as you realize how much bigger and more colorful the authors' canvas really is. 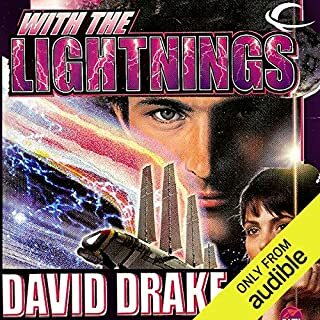 I highly recommend this novel to anyone hungry for a new space ship battle adventure, or a good character-driven space story, or a good murder mystery, or beyond! What would have made Ganymede better? 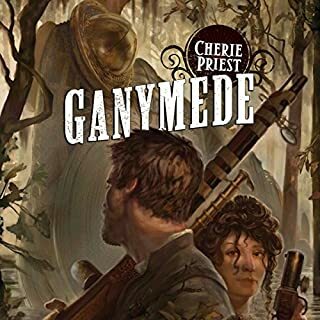 The story was another great steam punk tale of the Clockwork Century by Cherie Priest. I'm a theatre teacher. Edoardo Ballerini would receive a D tops for his performance with this book. It's PAINFUL to listen to him mutter on and on and on in a near-monotone without the SLIGHTEST emotion, while somehow at the same time managing to be over-dramatic. It's quite a feat, actually. I almost quit listening several times, as it was nearly impossible to maintain any interest or focus, his narration was so bad. Perfect book for reading. 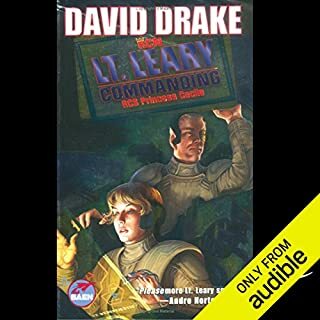 FIRST book I've ever listened to that I KNEW I would have been better off with a real book, rather than the audio version . . . In short, everything about this book was great, except the narrator, who all but killed it for me. 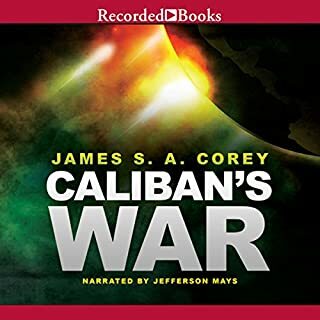 I read the first two books in the serious, and decided to go with the audiobook for the third one because of a very busy schedule. I REALLY wish I had stuck with the actual books for this one, because I just CANNOT recommend this experience to ANYONE.